Dorit is certified as a group facilitator for parents and children, youth and couples on behalf of the Adler Institute and the Ministry of Education. Group facilitator for the development and application of spiritual awareness and communication, astrological, numerological and communicative. She specializes in Avatar courses, sound yoga, diary design, Bach flowers, aromatic oils, card reading and teratology, Indian philosophy and a variety of courses in healing such as Reiki, Theta Healing and more. In her work, Dorit combines a variety of tools that she has learned and developed to reveal the physical and spiritual skills of each one of us. 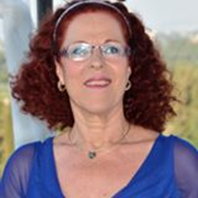 Dorit engages in personal and interpersonal counseling on issues of awareness, personal development (physical and spiritual), self- empowerment, parents and children, relationships, professional guidance and more.